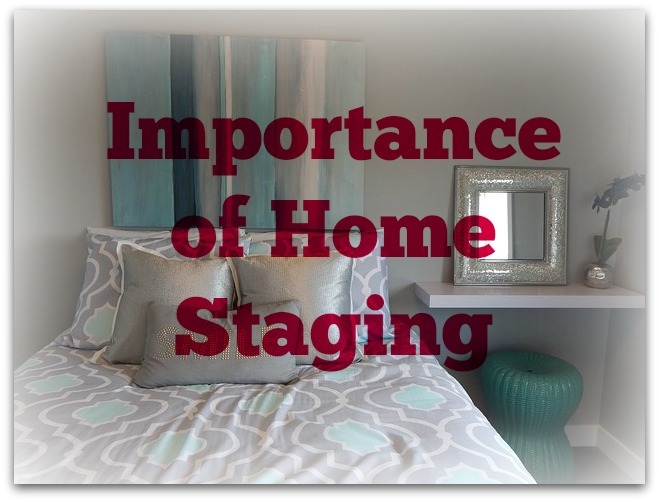 Staging Your Home For Sale; It’s Important, But Why? When you are getting ready to list your home for sale, the preparation process will make or break the success of it selling. That’s where home staging comes in. Home staging is the act of creating an environment that the majority of potential home buyers will find visually appealing. Staged homes sell quicker than non-staged ones, and according to the National Association of Realtors, over 81% of buyers find it “easier to visualize the property as their future home” when it’s staged. A staged home gives buyers an overall feeling of ease. They are focusing on how their belongings will look and fit in the home instead of wondering how long it will take to complete the visible repairs. Buyers are not seeing dollar signs add up as they view a staged home like they would in a home that is outdated, cluttered, and in need of minor repairs. Therefore, come time to make an offer, buyers are not trying to give you a low-ball offer. They can see the value. Here is some advice on how to handle a low-ball offer on your home. There’s no doubt about it that staged homes present better in your real estate listing photos. The majority of house hunters will see your home for the first time online, so you want to give them every reason to schedule a showing. Presentation is key! A home appraiser determines the value of your home by using a variety of factors. A staged home will present an overall feeling of being well-maintained, ultimately leading to a higher value. The appraiser will be checking for things that need to be repaired. Because minor repairs are part of the home sale preparation process, you will not have points deducted for things that need to be fixed up. Now that you know why it’s so important to stage your home, you need to know HOW to stage your home to make it stand out from the crowd. The Florida real estate market is competitive right now, so you want your home to be the one that beats the competition and brings in the offers first!